Love seeing the biggest celebrities getting slimed? You could be there for every green drop! 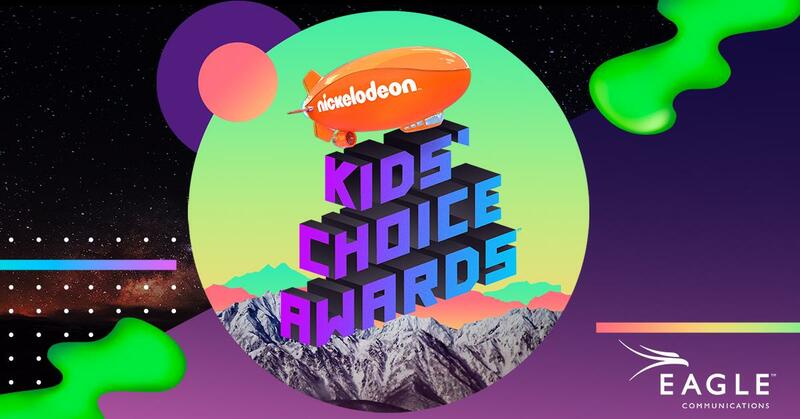 You could win a family trip for four to the 2019 Nickelodeon Kids’ Choice Awards in Los Angeles! Don’t miss a single musical act or unforgettable celebrity moment. As an Eagle Communications customer, you’re eligible to enter now for a chance to win a VIP prize package to the see the big show in person. Come back and enter daily for more chances to win! No purchase necessary. Many will enter. One will win.